There hasn’t been a post in a while because I have been busy! And it has been the best kind of busy! I’ve had commissions to fulfill! I absolutely love commissions. Jewelry is about making something meaningful for someone. Something someone wants to wear all day – maybe never even take off! 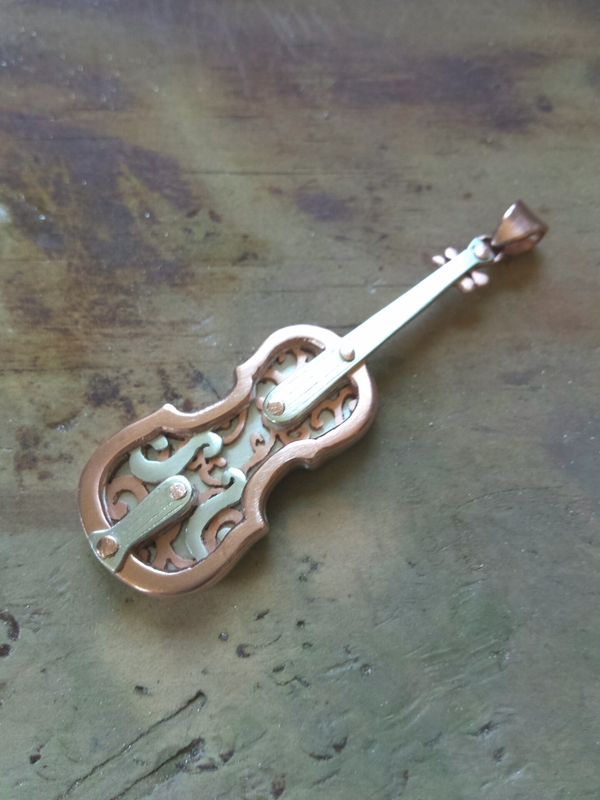 I’ve done many pieces for people and my favorite part is learning what they like, what is important enough to them to commemorate in a piece of jewelry. 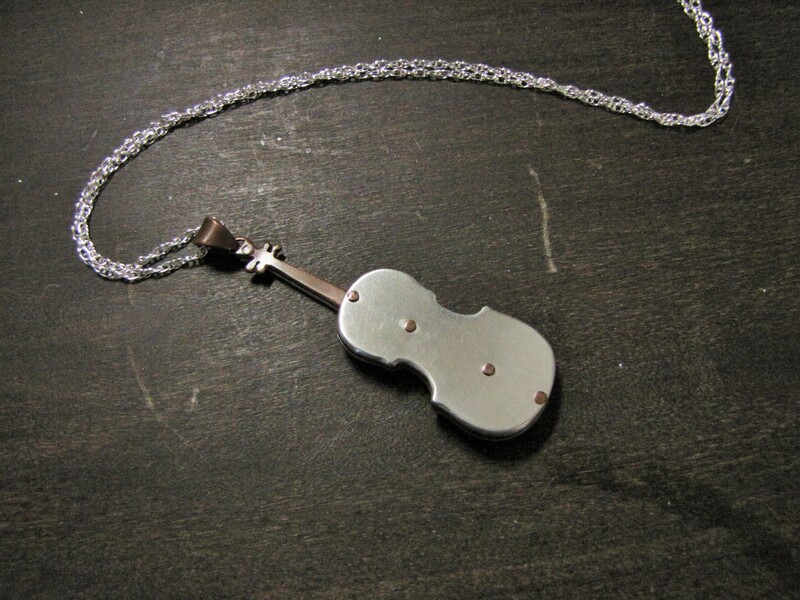 This violin was a wedding gift to a woman who is part of a band. I was so excited when she asked her friend who ordered the commission to send me a picture of her next to her new husband and wearing the necklace. 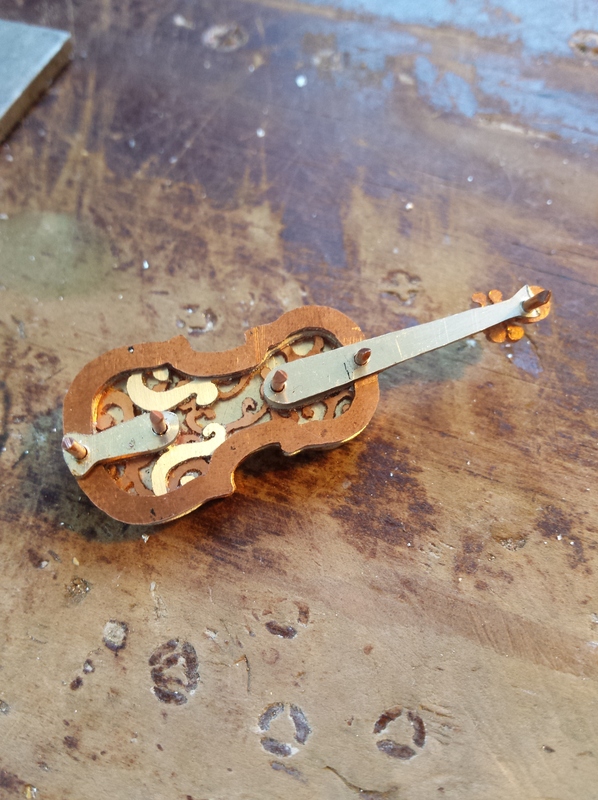 The whole process of designing and making this little violin was also a great experience. 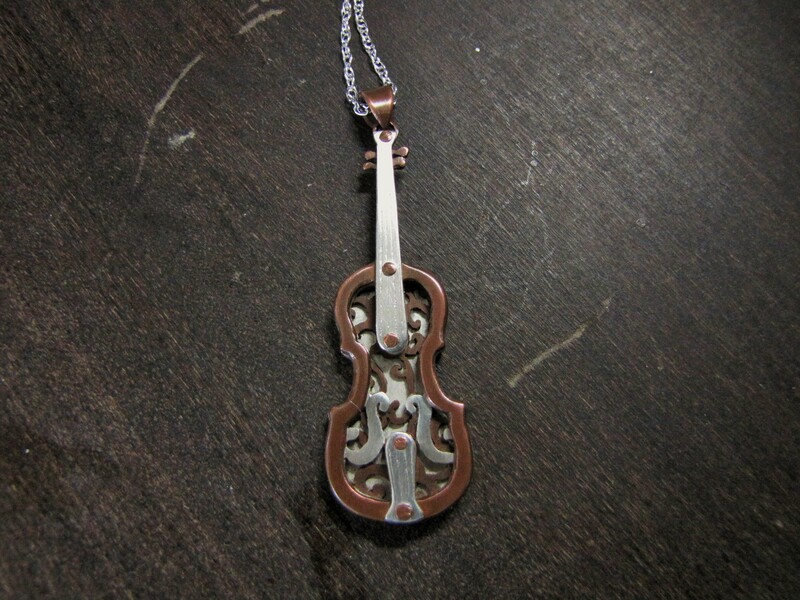 It was so much fun to see how delicate I could make the filigree-like design and how well I could engrave the lines for the strings along the neck. 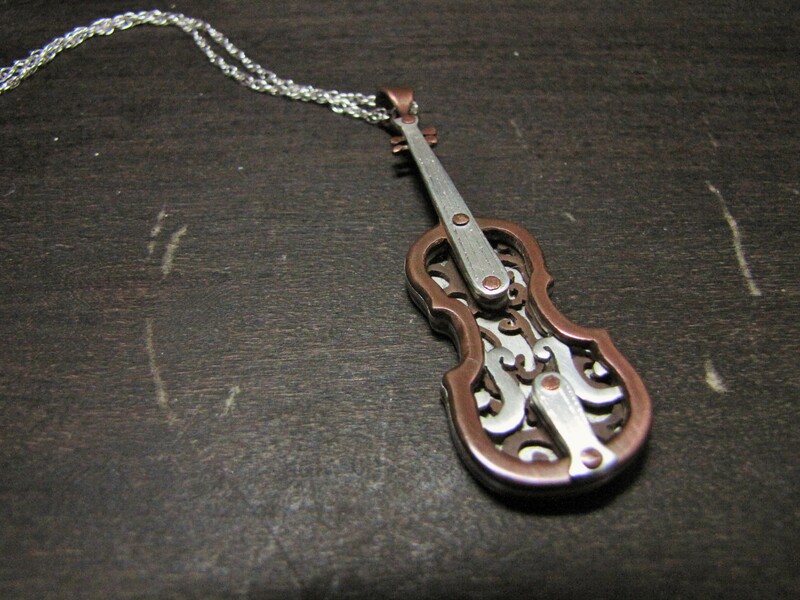 I pretty much enjoyed every moment of it from making the design to hearing that the intended recipient loved it! 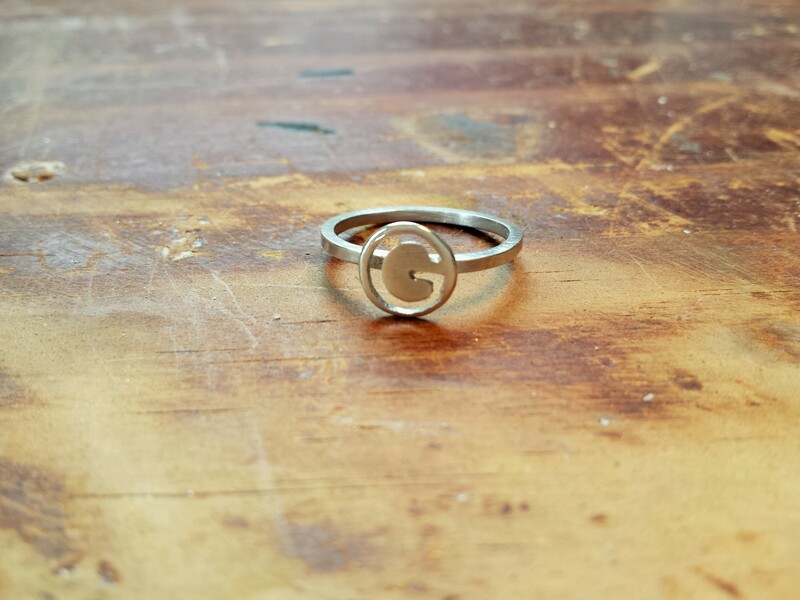 Making jewelry on commission is also about fitting a ring to a person’s style. Making something someone really wants to wear is at the heart of all the jewelry I like making most. If I don’t want to wear something I’ve made, then I know I missed something in the process somewhere, maybe got a little lost from what makes up my individual style. 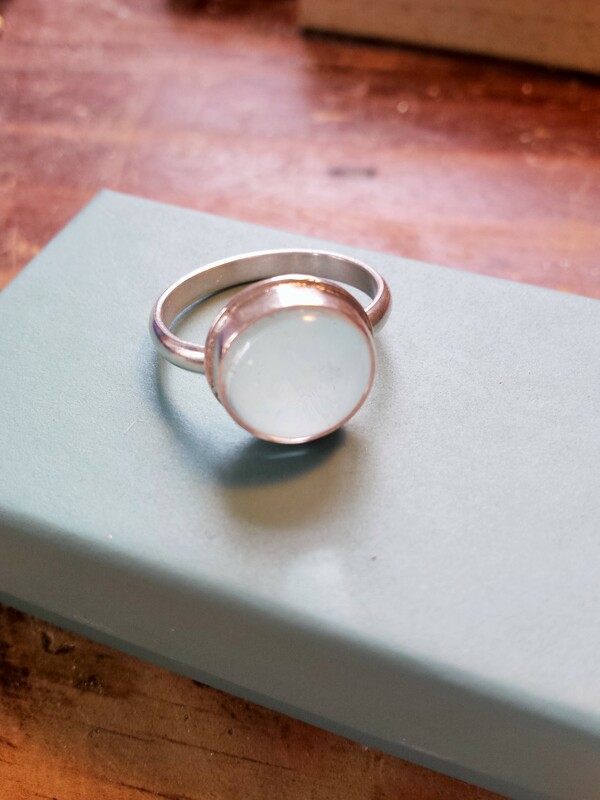 But these simple cabochon rings are all me. I was excited that someone else fell in love with them enough to order a couple for herself! 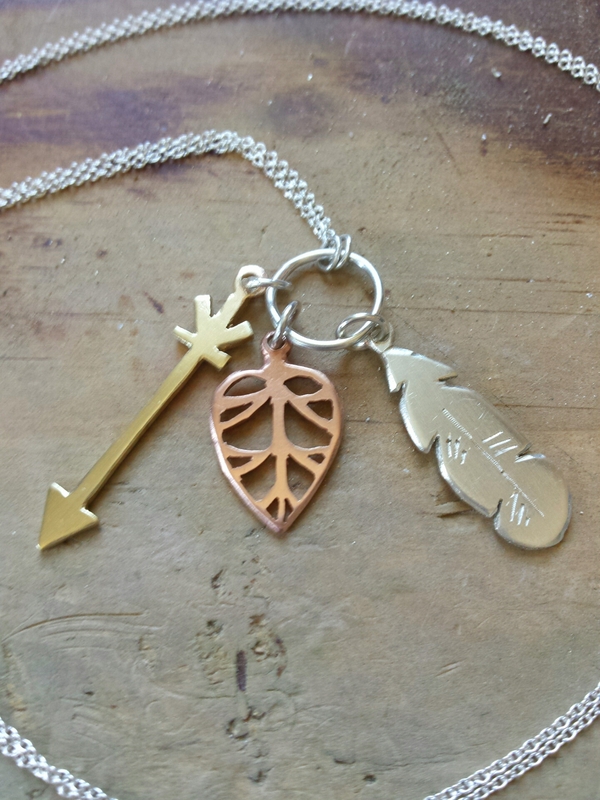 Commissioned jewelry is the best way to make something truly personal. 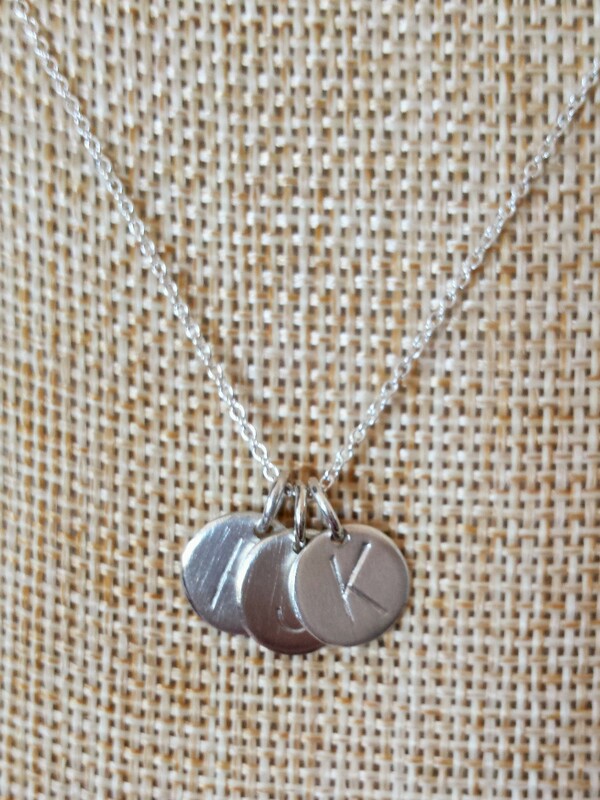 One young woman asked me to make a necklace with the initials of her and her siblings as a gift for her grandmother. I was happy to oblige! And then there are the times I get to make something special for someone I’ve grown up with. One of my friends ordered this ring for her sister – another of my friends. The letter G is the initial of both her daugthers’ names. It is simply amazing how thoughtful people can be both in the gifts they give other and the ones they give themselves. 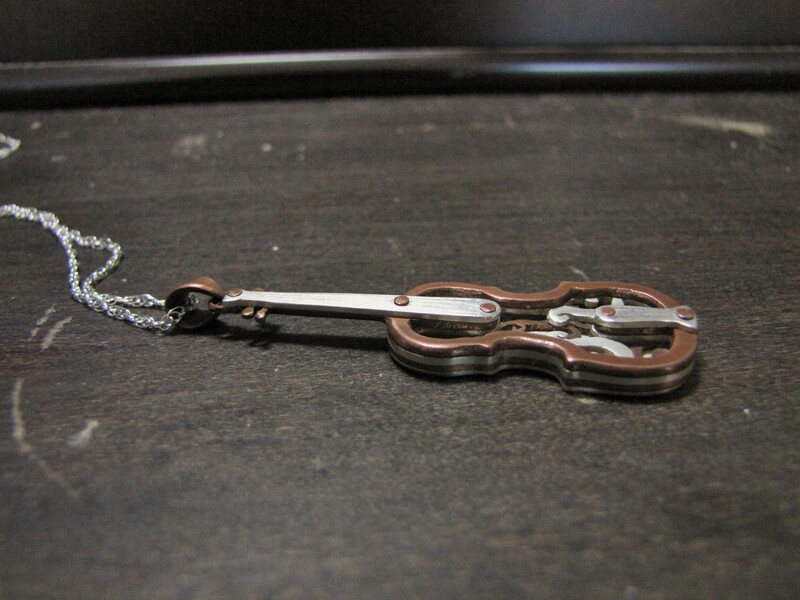 I even decided to make myself a necklace, not for class, but because it means something special to me. I’ll tell you more about why I made this necklace in a later post. For now I am thankful so many people have trusted me to make jewelry especially for them and those they love. It is amazing to be a part of that story and to make an object that will remind them of so many good memories for years to come.